Research indicates that in order to get restful sleep, your room needs to be between 16-19°C. So, how can you achieve this without the use of air con? The trusty desk fan can be a real lifesaver in the warmer months, especially if you place a bowl of ice in front of it so that the cool air is dispersed around the room. One of the best ways to ensure that your room is cool is to make sure that it doesn’t heat up in the first place. Keep curtains and blinds closed during the day to avoid the sunlight warming your room up. Ok, so eating the right foods might not change the temperature around you, but it will make sure that your internal temperature is lowered as you will metabolise them with less effort. Avoid carbohydrate heavy meals and stick to fruit and vegetables. This will also mean you won’t be heating up the house with your cooker! Your sleep surface can have a huge impact on how warm you are at night. If you have an older mattress that traps the heat and doesn’t allow for good air circulation, then you may find that you end up much warmer at night time. This is because we lose our ability to thermoregulate when we sleep, so we are much more likely to become hot if we sleep on an inefficient surface. 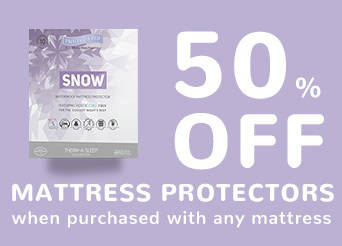 Choose a mattress with infused cooling gel to keep your body cool as you rest. Duvets aren’t great for keeping you cool, so replace it with blankets and sheets that you can layer up and adjust during the night to make sure that you aren’t overheating. Take a shower before bed but make it a hot one so that your body temperature works to cool itself down. It might sound strange but cool showers will have the opposite effect, so tempting as it may be to blast the cold water out, make sure you stick with a warm rinse!